The SB series CNC serpentine tube benders are designed for high speed production use. All SB models tube benders provide for serpentine tube bending without the need to rotate the material between bends (R axis plane rotation). Program the bend angles, centerline radius, straight lengths, and serpentine production begins. The tubing always stays in contact with the support table maintaining flatness. One of the advantages of the SB series type tube bender is its ability to manage the serpentine coil as it is being formed. Because the bend head can bend both CW and then CCW without rotating the tube between bends, the ability to control larger serpentine coils becomes much easier. The serpentine bender bends CW and CCW without the need to rotate the tube between bends. This feature often becomes important to ensure the bent serpentine tubing remains flat. In heat transfer applications, a flat serpentine coil translates into an efficient product. A split die actuator comes standard and allows for tight radius bending. The design of the bend head allows for instant CW or CCW bending. 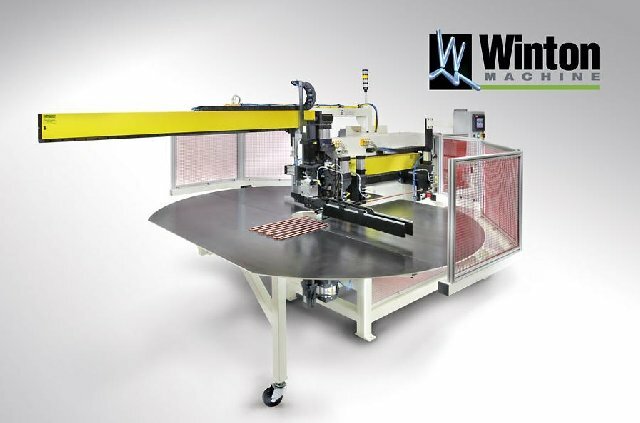 CNC Serpentine Tube Bender, for heat transfer applications, 21405-SB19 from Winton Machine on Vimeo.